Check out Coeur d'Alene riverfront homes for sale and embrace waterfront living at its finest in North Idaho. You will also find riverfront homes in beautiful Post Falls. Living on the Spokane River brings a certain peace and serenity that you won't find living on a busy street with neighbors on all sides. Some of these homes are among the most highly sought in the area. There are all kinds of properties on the riverfront including uber-luxury estates with private boat docks and nice single-family homes. You'll also find condos and townhomes on the river as well! Read more about Coeur d'Alene Riverfront homes for sale below the listings! 867 Properties Found. Page 1 of 145. You can also check out Post Falls riverfront homes as well. The homes along E. Shoreline Drive and S. Riverside Harbor Drive are among the nicest homes in the city and include private docks. Homes along Rodkey Dr. are also highly desirable. 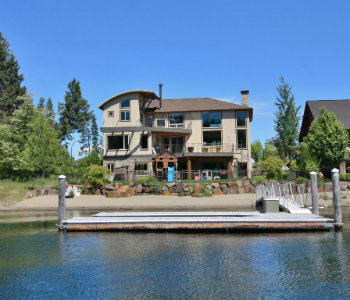 Also check out homes on Harbor Island, which is accessible via W. Riverview Dr. on the south side of the Spokane River. These houses tend to be a little older while being fairly affordable for riverfront living. Explore Post Falls Riverfront homes in a community with plenty of amenities and services. There is plenty of nearby infrastructure including hospitals, good roads and thoroughfares, plus shopping whether you're looking for a Walmart Supercenter or Silver Lake Mall in Coeur d'Alene. During the winter months you'll find ample recreation at one of the nearby ski resorts, whether it's Silver Mountain Resort to the southeast or at Mt. Spokane Ski and Snowboard Park in Washington. Both offer excellent skiing and snowboarding with resort amenities and multiple chairlifts. 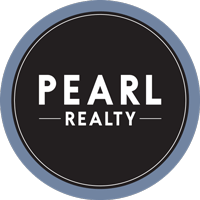 If you're interested in seeing any Coeur d'Alene riverfront homes for sale, please contact Pearl Realty today. You can easily reach us by phone at 208.762.5500.